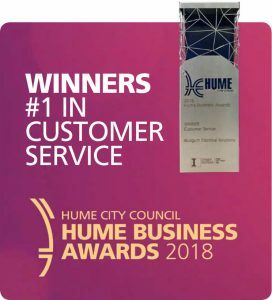 With its mix of beautiful federation and contemporary residences, lush parklands, prestigious schools, popular shopping centres and the glittering width of the Maribyrnong River, Moonee Valley and Maribyrnong are communities which are a pleasure for Bluegum Electrical Services to work within. Arguably the jewels of Melbourne’s inner-west, the prestigious suburbs of Essendon, Ascot Vale, Moonee Ponds, Keilor East, Strathmore and Avondale Heights house over 100,000 Melburnians – most of whom need assistance with electrical maintenance, air conditioning installation or renovation at some point during their home ownership. Named after the English Village of Essendon in Hertfordshire, Essendon was originally inhabited by the Wurundjeri clan. Exceptionally well-serviced by trams, trains and buses, Essendon has several prestigious schools and is home to AFL football team the Essendon Bombers. An area rich with heritage properties which require regular electrical maintenance (and the occasional renovation! ), Bluegum Electrical Services enjoy serving this friendly community. Founded in the 1880s, Ascot Vale is five kilometres north-west of Melbourne and has a population of just over 14,000. Home to the Royal Melbourne Showgrounds (venue of the annual Royal Melbourne Show and tertiary exams), Ascot Vale also enjoys village shopping in the form of Union Road with its boutiques and cafes. After installing new power points, repairing kitchen fans or completing emergency electrical works, the Bluegum Electrical Solutions team love lunching on Union Road! The home suburb of Australian comedic icon Dame Edna Everage and (less amusingly) the ATO, Moonee Ponds is famous for the Puckle Street shopping village and Moonee Valley Racecourse. Incredibly tightly held by householders and investors, Moonee Ponds is only 7 kms from the city. Bluegum Electrical Solutions enjoy helping householders of Moonee Ponds with their electrical requirements, be they major works, emergency assistance or the occasional repair. A community founded in the late 1940’s, Keilor East is home to many ‘Aussie Legends’ including Shane Jacobsen of Kenny fame, singer Tina Arena and the very first JB Hi-Fi! A substantial suburb, Keilor East has a population of 13,000 and is serviced by Albion Station, buslines and several primary and secondary schools. Call Bluegum Electrical Solutions if you require a punctual, certified electrician in Keilor East to give you a free quote on required works. Named after the Valley of Strathmore in Scotland, Victoria’s Strathmore is 6.8 kms from the city and home to beautiful contemporary and heritage residences. Strathmore is the location of the popular DFO Outlet on Bulla Road, and has ample parklands including Napier Park and the Moonee Ponds Creek Trail. 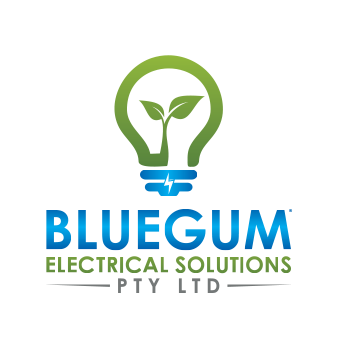 Bluegum Electrical Solutions are only a phone call away for any Strathmore emergency electrical works or lifestyle upgrades such as bespoke lighting installation. Planned by esoteric visionaries Walter Burley Griffin and Marion Mahony Griffin in the 1920s, Avondale Heights has a unique curvilinear design that encourages interaction with both community and environment. Rich with internal gardens, Avondale Heights houses over 10,000 residents and is set to keep booming due to the sale of the Kangan TAFE site to make way for medium density housing. Features of Avondale Heights include the Maribyrnong River Trail and access to multiple bus routes. It’s always a pleasure for Bluegum Electrical Solutions to service Avondale Heights – installing garden lights, preparing homes for NBN installation and even collaborating with builders on your renovation! Taking its name from the Maribyrnong River which encircles the suburb, Maribyrnong is lifestyle friendly and only 8 kms from Melbourne. Well-serviced, Maribyrnong benefits from great public transport options, Highpoint Shopping Centre, multiple schools, the Maribyrnong Aquatic Centre and the Maribyrnong River Trail. Slated for development, this is one suburb on the rise – and one that Bluegum Electrical Solutions are always on hand to help with their electrical maintenance and emergency electrical needs. Whether you need an emergency electrician in Essendon, Accot Vale, Maribyrnong, or any of our other service areas, contact us online or on 1300 306 342 to receive a free quote.